In Florida, you can obtain a divorce if you do not like the way your spouse breathes! Several decades have passed since Florida courts required that the divorcing spouse prove one of the traditional grounds required to grant it: abandonment, abuse, or adultery. Today, you simply have to allege that the marriage is "irretrievably broken" and you will obtain the divorce. Of course, its final terms usually require much more effort to secure. These terms relate to the ordering of child support, alimony or both, custody time-sharing arrangements for the children, the distribution of the marital assets and debts and how the divorce lawyer's fees will be paid. It is for the negotiations of these terms that you need an experienced divorce attorney who can see options that others would miss. Having dealt with hundreds of divorce and other family law cases since 2005, and exclusively family law since 2011, gives me the experience and knowledge to make sure that you take advantage of the rights that the law provides you. Related to the first myth is the notion that the adulterous spouse will be heavily penalized in the court. Actually, Florida appellate courts have consistently limited the relevance of adultery to instances where the philandering spouse has depleted marital assets on the affair. In those rare cases where such a factual finding is made, a court may order the unfaithful spouse to reimburse the other spouse half of those assets. Otherwise, adultery will not impact the final outcome of your divorce. 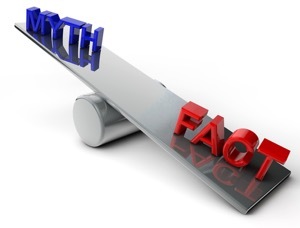 Divorce Myth 3: Florida Is A 50-50 State On Child Custody. I believe a lot of my clients have confused Florida's presumption in favor of shared parental responsibility with 50-50 time-sharing. While it is true that Florida favors shared parental responsibility between the mother and the father, this presumption does not apply to the actual amount of time-sharing with the children that each of the parents will be awarded. In fact, no presumption exists in favor of any particular time-sharing schedule. If your case proceeds to a trial, your judge will establish a time-sharing schedule that is in the best interests of your children, based on the individual facts of your case. Please, see Child Custody and Support for more details. I have represented hundreds of divorce clients, but I can count on two hands the number these that were truly uncontested. Most of them involve multiple issues that a good divorce lawyer will make you aware of. Even if you and your spouse agree on all of the major issues (which I encourage), you will still benefit from having an experienced family law attorney draft an enforceable and sustainable marital settlement agreement. Each spouse's rights regarding time-sharing of the children, child support, alimony, and the distribution of the marital assets and debts needs to be clearly defined during the divorce process. Otherwise, the divorcing spouses are setting themselves up for a future legal battle because they did not foresee all the possible conflicts that arise after the divorce. In the Orlando area there is no better place to arrange an uncontested divorce than AAA Family Law. I will make sure that all of the issues that need to be settled are covered and that you understand them. Please call (407) 260-6001 for an initial consultation. Our divorce attorney retainer fee for contested divorce cases up to the mediation stage ranges between $2,400 and $3,600 depending on its complexity. An additional retainer amount is set before the trial if the settlement is not achieved during mediation. For an uncontested divorce the fees range from $1,200 to $1,800. Read the court costs and the range of attorney retainer fees charged by AAA Family Law for each type of case in Our Retainer Fee Policies.